Get a 22oz drink on your birthday! Girls Night Out, Bachelorette, Bridal/Baby Shower? 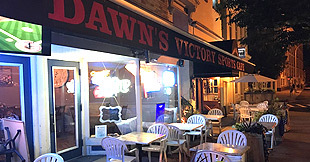 Located in the heart of Downtown Albany, Dawn's Victory Sports Cafe is the city's choice for casual dining with a gourmet twist. We offer lunch, dinner, banquet facilities and a world-class catering service. Come by and experience the “best kept secret in Albany” for yourself. Daily Lunch Specials, All Day Drink Specials! 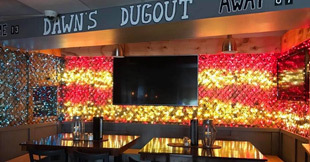 All Sports - Pizza, Wings, Draft Specials! Nightly Dining Specials! RESERVATIONS FOR SHOW NIGHTS: Reservations are recommended for night of concerts, shows, theatre events! 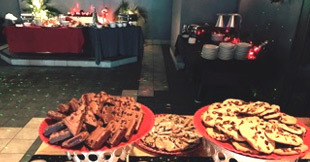 Let Dawn’s Victory Sports Cafe cater your next special event / private party. Our newly remodeled cafe providies a fun, classy, unique special event experience!